Picked this book up at the Appleton Library Sale. 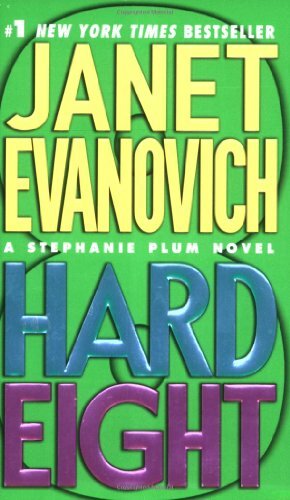 I have read a few of the Stephanie Plum mysteries and find her and the cast of wacky friends and family hilarious. I especially love Stephanie's friend Lula and Grandma Mazur. This Stephanie Plum mystery has the bounty hunter searching for her parents' neighbor's daughter and seven year old granddaughter who came up missing. Of course, Stephanie finds a lot more than she bargained for. I hung this book up on the Community Board in the Neenah Jimmy John's - 911 Tullar Road location. Thank you for taking the time to visit us at Bookcrossing.com. If this is your first visit to our site...welcome & I'm sure you'll find it fun! All over the world people are following their books travels through Book Crossing & by making an entry you will be helping to keep this book’s unique travelling history up-to-date. You can make your first journal entry about this book now! Just tell us where you found it....& don't worry about giving your name, you can remain anonymous. When you’ve read it, why not come back here and let us know what you thought of it? Tell us what your plans for it are....is it being passed to someone else?...or maybe you're going to leave it for someone else to find - just like you did! Then, if you want to, you will be able to follow it's travels around the book loving world as well! I hope you've enjoyed visiting us here at BookCrossing.com & if you do decide to join us, please consider using me, imawinn2, as the member who referred you- then I know I'm successfully spreading the BookCrossing word! I found this book hanging on the bulletin board at Jimmy Johns. What a fabulous idea Book Crossing is! I absolutely love this series. I always end up laughing out loud, usually at the antics of Grandma. I plan to take this book to Cancun and will release it there. I will leave it on a table in the hotel lobby and can't wait to see what country it ends up in.